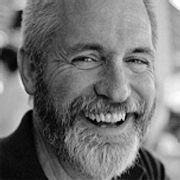 David Spann is the President of Agile Adaptive Management, creating productive and collaborative leaders, teams and the organizations they serve. David Spann is an experienced management consultant, professional facilitator and educator. David Spann's experience covers a 30-year career working in, or for high tech, financial services, retail, government operations, and natural resource management organizations. His specialty focuses on developing collaborative and facilitative leaders, designing highly agile and adaptive organizations, and thereby helping them anticipate and respond well to their business challenges. David Spann was instrumental in launching the Agile movement during his stint as the MBA Director at Westminster College in Salt Lake City, Utah. While in that role he was the first professor teaching Agile Project Management anywhere in the U.S.; in the spring of 2002 was the host of the very first Agile Conference; and over the next three years he also co-hosted the Executive Summit portion of the Agile Conference. He has written extensively on Agile Leadership behaviors and role expectations for such publications as the Cutter Consortium, Software Development Magazine and Business Process Management Institute. His current practice focuses on coaching team leaders and executives around the eight role expectations of an Agile Leader, developing team agility, and designing adaptive organizational structure. In a previous career, David Spann was a District Ranger for the USDA Forest Service in north central Idaho, managing a quarter million acres of land, hosting visitors to the wilderness and managing very large and extensive wildfires; so he really knows how to put out fires! His life changed on July 6, 1994 when 14 wildland firefighters (one of them a dear friend) lost their lives and their potential futures on the Storm King Mountain fire in western Colorado because of internal communication breakdowns, politics, and peer pressure to "get it done" - it's in their memory that he dedicates the rest of his life helping organizations not make the same mistakes. Salt Lake City, Utah. He is a Certified Professional Facilitator with the International Association of Facilitators (IAF) and an Assessor of the IAF Professional Facilitator exam. In addition, David Spann is the Director of Operations for the International Association of Facilitators in the United States, a member of the Agile Alliance, Project Management Institute, and has for several years been the lead facilitator for the Westminster College Master Track Program.